We are now well in to the construction phase of Newmarket’s new National Heritage Centre for Horseracing and Sporting Art. 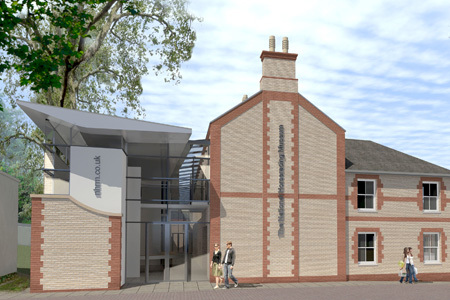 To celebrate this milestone the National Horseracing Museum (NHRM) have released a video showing the progress on site. The museum which is to open in Spring 2016 will relocate from its current High Street position to the historic Palace House site, that contains the last remaining element of Charles IIs racing palace in the town. The museum will be housed in the Trainers House and Kings Yard boxes, the sporting art gallery in Palace House and the live horses in the Rothschild Yard and 4 acre paddock. Building work is due to finish next year on the site and it will take a further 10/12 months to fit out the specialist exhibition displays and pack and move the objects into their new home.